The best-kept secret in motorsport? The cars are spectacular, the drivers accessible, and the format seems custom-made for TV. Now, with a proven promoter and stars like Petter Solberg, could European Rallycross be about to go mainstream? For fans of a certain age, the mention of rallycross will conjure up memories of Will Gollop and Matti Alamaki duelling in Group B fire-breathing monsters. For others, it remains an undiscovered gem. There are signs that rallycross might just be ready to end its exile from the average fan's consciousness; that the often-spectacular events may once again be consumed by the mainstream. The popularity of the sport's golden age seems suddenly less remote. Crucial to the sport's future is the vision of media giant IMG, new promoters of the rebranded RallycrossRX championship. IMG had been evaluating taking over the rights to promote the World Rally Championship, but having done its homework concluded that the format of rallycross - short races and a clear progression from heats to finals - had more latent potential as a global TV product. A deal was struck with the FIA, and IMG became the sole promoter of European Rallycross Championship from the start of 2013. Rebranding to RallycrossRX is only the start of its long- term plans. "All the constituent parts are there, but I don't think it's ever been put together in the right way," is the view of Martin Anayi, the series' new managing director. "We have very clear plans and strategies about how to get all those constituent parts and put them together. We are making more formal what was a loose collaboration of events. First and foremost is making sure the events are standardised - with the big exception that we will allow each to have its own personality." IMG's first step towards this standardisation was to create 15 'permanent' entry slots for the series. Where before events consisted largely of local stars, the new championship will revolve around a core of familiar faces competing in all nine rounds. So far so good, but there's a kicker. One of those 15 entrants is 2003 WRC champion Petter Solberg. Getting the Norwegian to commit to the full series is a massive coup, giving the championship instant prestige and guaranteeing crossover interest from the rallying world. Solberg and his fellow permanent entries will be joined by wildcards at each round - what Anayi means by each event having its own personality. While grid numbers may therefore vary, the weekend format won't. Five-car heats will be used to establish an intermediate order, with the fastest driver earning himself 16 championship points in a sliding scale that runs all the way down to 16th. The top 12 will then progress to the semi-finals, which this time will run with six cars. On top of additional points (six for the winners), the top three from each will go through to the grand final, where the round's victor will be decided. In contrast to a litany of other series, that format guarantees short, punchy races that are perfect for TV. And it's there that IMG knows the biggest gains are to be had. No surprise then that at every corner there will be cameras, and that after every event the production of high-quality highlights and new clips will be distributed globally. There's also live coverage to boot: five of the events, starting in Finland in June, will receive live coverage of the semi-finals and final. Reach is the name of the game for IMG. "Rallycross can be the perfect TV product," Anayi says. "But until we deliver that, we're on trial for a year. What we need to do is make sure everybody involved realises that when we go live in Finland, they have an obligation and a duty to the sport." It's a sentiment shared by others in the RallycrossRX paddock, and one which suggests IMG's vision isn't simply smoke in the wind. Kenneth Hansen, a multiple European Rallycross champion and now one of the leading team owners, is keenly aware of the need to seize the initiative. "We have the [right] sport to be a big success," he says, "but we've never had the right package; someone to put it together. We've been wishing for this promoter for a long time." The best-known driver in the series, courtesy of his 2003 WRC title, Solberg returns to his rallycross roots with his own team. If anyone can attract the crowds, it's 'Hollywood'. Russia's first ERC champion remains with Hansen Motorsport to defend his title in 2013. 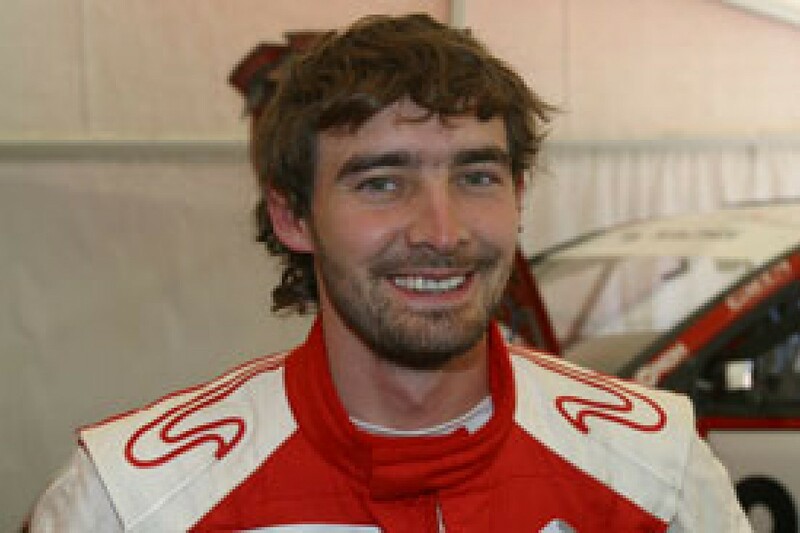 He only made his rallycross debut in 2007, and won the S1600 ERC series in 2010. The son of four-time British Rallycross champion Pat, Doran has won a British GP and a gold medal at the X-Games. Last year's runner-up, his team expands to a two-car line-up for 2013, and he will be expecting a title challenge. Jeanney was a virtual unknown when he stepped up to the ERC in 2011, despite having won the French title the previous year. Now one of the best in Europe, he was fourth in the 2012 standings. A dark horse for the title, Lysen became the ERC's youngest champion in 2009, winning the S1600 division. He has raced in the top Supercar class ever since. His dad and team boss Kenneth is a rallycross legend. Hansen finished fifth on his ERC debut last year after a single-seater career that included wins in Formula BMW and Formula Renault.